Graphic designing is one of the most creative industry. Graphic designers put their heart and soul in their designs. They push their limits, observe things differently, try to become more creative and earn as a Graphic Designer. It might seem easy but its one of the most difficult job. It’s even more difficult to earn as a graphic designer because there are too many competitors. Graphic design covers almost 35% of the design industry. Can you imagine how tough it is to establish yourself and earn as a graphic designer? There are many skilful designers in the industry and it’s hard to compete with them. People try to buy great designs as cheap as possible. They pay pretty low for your efforts. Some people are designing a logo for almost 3$. Yes, that’s the reality. So, is there any freedom you have as a graphic designer? I think, NO. You work like hell. Doing revisions over revisions. Listening to the client like a puppet. You have to do what your client asks for. WTF! I want to ask you…Why you are working for that 10$ project like a slave. If you have to make 100$ then you will have to put in 10 x hard work, 10 x time investment, 10 x slavery. That’s what you are doing right now! Because you are not using your mind. You are finding it hard to live your passion. Its getting tougher to earn as a graphic designer. What if you could earn more than 100$ by putting only 1 x time, 1 x hard work and 0 x slavery? What if you have the freedom to create anything you want even a plain background and make decent money from it? Yes, there is a way that can make it possible! It’s like a golden key. The link given below is the largest online stock image sellers. Millions of images are purchased every day on this websites by the clients. You just need to design any graphics and upload it your account. Now, it automatically becomes available to the world and it can be downloaded any number of times. You will make money with every download. The amount you will be earning for every download will be anywhere between .25$ to 2$. This could be even more in case of videos, even 100$ for a single download. You can make heavy additional money by referring other contributors and buyers. People buy different designs for different purposes. These can be used in advertisements, books, videos, websites and almost everywhere where graphics are required. You can sell photographs too! The biggest advantage is that your design/image is in front of the world and not limited to just one sale. It can be purchased for the unlimited number of times. Use the link to visit and sign up as a designer. After signup and account approval simply start uploading your graphic designs. 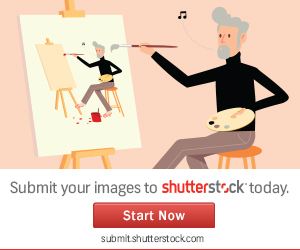 Set a title for your image and choose the keywords you want your design to appear for. Woah! Now you are a smart designer with complete freedom. Don’t forget to share this blog with your friends and community. 5 steps content marketing is crucial for small business.